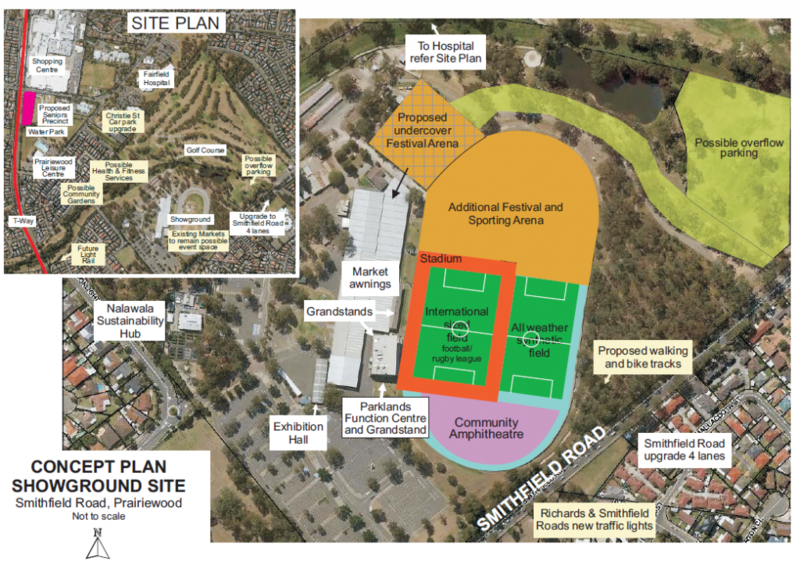 Fairfield Showground in Prairiewood is set to undergo a redevelopment as announced by the Mayor Frank Carbone on the Fairfield City Council website. 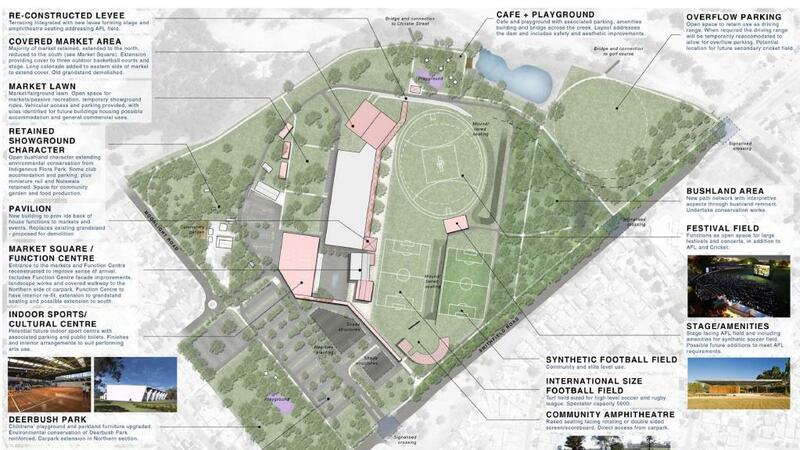 It will be a “Centre of Excellence” which will help facilitate the local sporting talent & give them a world-class venue right in the heart of south-west Sydney such as the talent from nearby Westfield Sports High School. What is proposed in the redevelopment is quite substantial, it is estimated that the Fairfield City Council will be placing $8.5 Million towards the project. As you can see this will be a major transformation within the area. Additionally, there will be an upgrade of the road adjoining the Fairfield showground to 4 lanes (2 each way) as well as a new intersection connecting the entrance of the showground with Richards Road in Wakeley where there will be a new intersection to make it easier to access the showground. Another massive piece of potential infrastructure is the proposed mass-transit rail link from Parramatta to the Western Sydney Airport which will go via Prairiewood as announced via a map in the Greater Sydney 2056 30-minute city plan where it is seen as a crucial projects described that it will be a “priority in collaboration with the Commonwealth” meaning it is a proposal of great importance. The rail line will be investigated within the next 10 years meaning the south-west could finally have the decent express rail infrastructure it deserves & will greatly benefit the Fairfield Showground as it will become accessible to a lot more people & justifies the expense of the council for the upgrade. It seems as though along with the Aquatopia Water Park just being opened & constantly expanded at the Prairiewood Leisure Centre & Stockland Wetherill Park recently completing its expansion that the Prairiewood Town Centre is on the up & will be a very important strategic centre within the Fairfield LGA going into the future. The idea is great considering the showground is already visited by 600,000 people per year & hosts most of Fairfield City's major festivals.